AlarmDroid (Android) - Wake up the way you want ~ Android Forever! 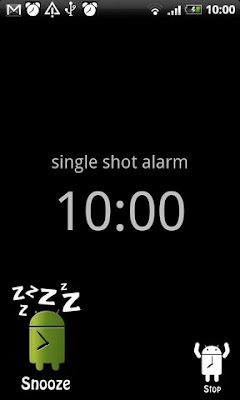 AlarmDroid is a feature-rich alarm clock application. It is created to give every Android-User the opportunity to wake up his(her) own way, not caring about whether he(she) is an early bird or a morning grouch. AlarmDroid's special feature is the flip'n'snooze feature, which allows the user to turn the alarm clock back into snooze mode by turning over the phone. Further, it provides a speaking clock, which does not only announce the time but even the local weather conditions.